The Louisiana Urban Stormwater Coalition is an EPA and LDEQ-supported nonprofit organization that assists MS4s in meeting stormwater program goals through education. For more information about LUSC, see our About page. How can I contact LUSC? We are happy to help with any questions you may have! Please visit our Contact page to find out how. How do I become a member of LUSC? Membership to LUSC is FREE and gives you access to a variety of information, including email updates about workshops and other helpful tools. To become a member and subscribe to our email list, please fill out our Subscribe form HERE. How do I become a sponsor of LUSC? Interested companies may sponsor any of our workshops and/or our website. Depending on the amount of the sponsorship, this may include company logo on workshop announcements/materials, booth at workshop, logo and link on LUSC website, etc. 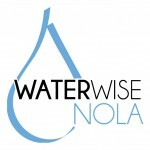 Please email us at louisianastormwater@gmail.com for more information. A TMDL, or Total Maximum Daily Load, is a calculation of the maximum amount of pollutant a waterbody can receive and still safely meet water quality standards. What should contractors know about EPA and DEQ requirements at job sites? Requirements vary slightly by City and Parish, however here is a good example of requirements from the City of Gonzalez.